I love the grain on this black walnut wood. A deep brown shot through with lighter brown and even shades of purple. 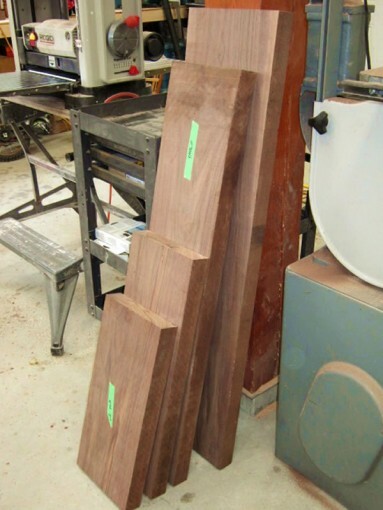 These boards are destined to become a sideboard with a wine rack, commissioned by a customer in Calgary, Alberta. Once the sideboard is made and oiled, it will really bring out the grain and all the colours.